Rock Bridge - Neighborhood pool, playground and basketball court. MLS#21629544. CENTURY 21 Scheetz. 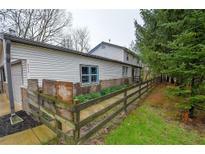 Great Investment Opportunity, Wkend Retreat, or Primary Living! AS-IS. Home Warranty! MLS#21632160. CENTURY 21 Rasmussen Company. Beautiful .35 partially fenced back yard with mature trees, patio & mini barn. A+ location & offering! MLS#21629827. F.C. Tucker Company. Great commute to downtown Indy, and minutes to Anson's stores, shops and restaurants. Award winning Zville Schools. MLS#21619874. Berkshire Hathaway Home. Owner hates to leave but transferred to Coast. Rookwood Plan w/ many upgrades! MLS#21627243. F.C. Tucker Company. Screened porch and large deck look out at the beautifully landscaped yard, 3 car garage, basement work shop and exercise area. Close to schools and shopping! MLS#21632136. F.C. Tucker Company. Fox Hollow - This home's floor plan flows seamlessly thruout. Your buyers will love it! MLS#21631676. Highgarden Real Estate. Large basement with daylite windows - enjoy movies in the theater room. MLS#21631771. Carpenter, REALTORS®. Finished basement with recreation room, storage, & full bath. Award winning Zville schools! MLS#21622045. Berkshire Hathaway Home. Don'T Miss This Opportunity There Are Only 5 Homes On Boone Ridge & The Last One That Sold Was 2012. Very Unique Home & Property! MLS#21632084. RE/MAX Ability Plus. 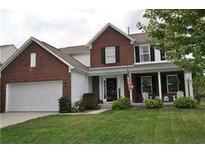 Preserve At Spring Knoll - Close to rail trail and in 4 star Zionsville Schools! MLS#21631503. CENTURY 21 Scheetz. Preserve At Spring Knoll - Within 2 miles of Pleasant View Elementary, Zionsville Middle School and Zionsville High School. MLS#21632014. CENTURY 21 Scheetz. Full Basement w/numerous windows full of natural sunlight & ready for your finishing touch. MLS#21629165. F.C. Tucker Company. Fox Hollow - Relax in the inviting screened porch, or on the spacious decks which look out on the private backyard! MLS#21623071. CENTURY 21 Scheetz. Financing is available to purchase and renovate! MLS#21631388. The Dream Home Company.